Ambulatory Surgery EHR Ready to use. Easy to customize. CureMD understands the unique workflows of Ambulatory Surgery Centers. Our EHR for Surgical Specialists has been made in a way which maximizes revenues, improves workflow efficiencies and results in better quality of care administered. CureMD seamlessly integrates with labs, radiology centers, medical devices, diagnostic equipment and Health Information Exchanges (HIE) to improve your operations. We provide ASC-specific templates, forms and built-in support for ICD and CPT codes. Our award winning EHR also includes patient management, adverse event reporting, document manager, e-Rx, and more. Due to our powerful clinical and administrative capabilities of CureMD Ambulatory Surgery EHR, physicians can not only address their patients better, but also improve their processes along the entire care continuum. Our solutions help you cut costs, improve quality of care delivered and exchange patient health information in an easy and simple way. We are helping Ambulatory Surgery Centers nationwide to address current and future challenges in an innovative manner. Layouts are accessible for an extensive variety of issues experienced by Ambulatory Surgery specialists and include those intended for consults, pre-op, post-op and follow-up visits. Templates cover everything from straightforward in-office methods to complex issues and circumstances, for example, smolders and trauma, torment (post-op or general) and symptomatic studies. 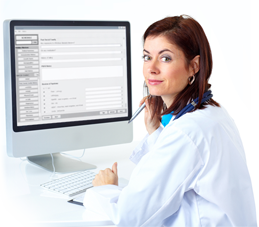 CureMD templates are easy to understand and give a clear and compact approach to record pre-and postoperative care. CureMD allows clear, consistent follow-up on orders and results through order management functionality – designed to integrate flawlessly with your workflow. CureMD generates electronic letters on your customized letterhead, ready to be emailed or printed.